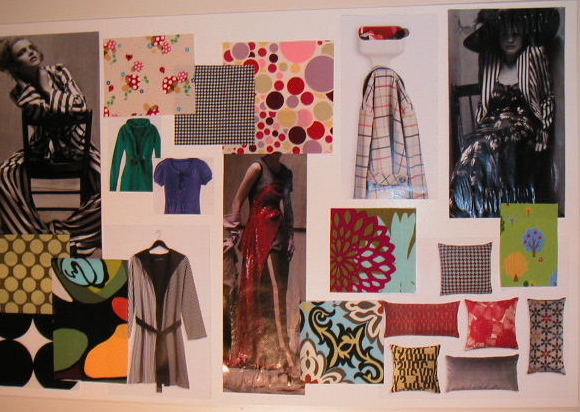 I started an activewear elective class last week as part of the fashion design program I'm in and my homework included creating this theme/inspiration board for the line we have to create. I decided to focus on running wear, so I could actually use the pieces that I will sew up. I've been trying to think of a title for the board, and I came up with Classic & Graphic. The classic part is reflected in the silhouettes of the clothes (some atypical for running gear) that will also have interesting decorative touches. The graphic part comes in with the fabrics I want to use. The swatches on the board are more reflective of the color schemes I like. The line will be composed of about 10-12 pieces, with two pieces being patterned out and sewn up. I spent most of yesterday afternoon drawing sketches. The class will be a lot of work, but it should be a lot of fun too. I'll post periodic progess reports and photos. Prior to starting my activewear class, I had been thinking a lot about draping and sewing up some dresses. Unfortunately, I never got around to it. Instead of making dresses, I headed out to some fantastic sales at some favorite local boutiques to see if I could find anything. I found these two Orion dresses (see more here) at Amalee, where everything is currrently on sale through the end of January. 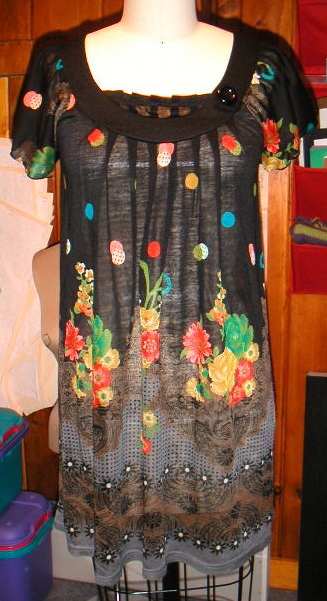 The black dress is made from a vintage "lace" fabric, which I really love. 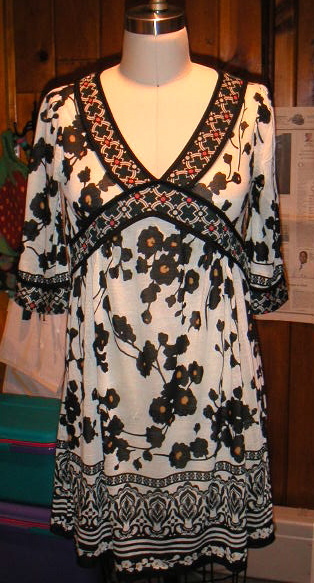 I also like the button detail at the neck and the pleated inset added at the bottom. I'm not much into kimono-styled anything, but this dress looked great when I put it on. I was also drawn to the contrast of fabrics used for the self and the trim. Now I just need to find occasions to wear these!